Flora Dane is reckless. . . . or is she? Although I’m not a true thriller-fan, occasionally I like to read a suspense novel. 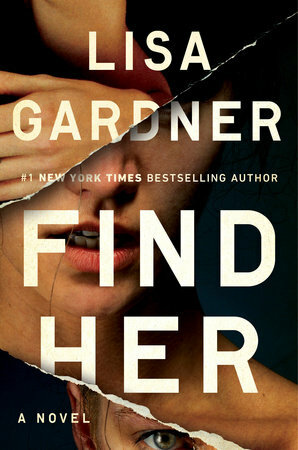 So when I read the synopsis of Find Her, I just had to request an advanced reading copy. When I read that Flora Dane was kidnapped for 472 days, I was intrigued. But when I received my ARC (yay, thank you FirsttoRead!) and started reading, I just fell face first into the nightmare of Flora Dane’s kidnapping. Lisa Gardner takes the reader seven years back in time and let you relive the abduction of Flora. I was stunned, I was shocked, I was aghast… and I really had to keep reading. Throughout the book, Lisa takes you through 472 days of nightmares, in a multitude of flashbacks. You can feel the despair, the anguish and the self loathing of Flora. But these are only the flashbacks. The story of detective D.D. Warren and her case with the missing girls is the main course of the book. D.D. is a strong willed female, who has been hurt during a previous assignment. She can’t perform her normal duties, but that doesn’t mean she just sits back during desk duties. Lisa has done a well job in describing the frustration of a dedicated woman, who can’t do her job in the way she wants to do. In the chapters from D.D.’s point of view, you understand her distrust of Flora and you wonder with her if Flora is indeed only a victim or maybe something more. And although some parts are a bit unrealistic (I mean: to kill a man, when you are totally naked, with you hands bound, and only using garbage, that is a tiny bit unrealistic, don’t you think?! ), the plot just keeps turning and just as you think you know what Flora’s role is in the assaults and abductions, Flora gets taken herself. At that point in the book I was totally confused. Flora had just killed her assaulter and they were finding the evidence of his kidnapping of the other girls and now Flora is missing? I was tempted to re-read part of the book to see if I had missed an important clue. But no, after reading on, and siding with detective D.D. I still couldn’t phantom who was behind the kidnapping. But when reading the chapters from Flora’s point of view, the story just gets scarier and scarier. I’m not a fan of small spaces, but after reading this book, I don’t think I’m stepping into a small room again. And you realize time is running out. Detective D.D. is realizing this also. So you just have to keep on reading, to find out if D.D. will make it in time to save Flora and to discover who is behind the horrors. Off course, I won’t tell you “Who Dunnit”, but you will be surprised! So, in all a very well written story. Afterwards I found out that detective D.D. has a total series of stories. So maybe, when I’m recovered from my fears of small spaces, I’ll try another thriller of Lisa Gardner. Well done, four stars.